Design is the fusion of beauty and function and in a forthcoming Catawiki auction, well-known looks are presented with both concepts. An early group of designers represented the Viennese workshop Wiener Werkstätte, which envisioned the concepts of beauty, functionality and quality in their furniture, jewelry and everyday objects. Through these pieces they aimed to oppose emerging mass production. 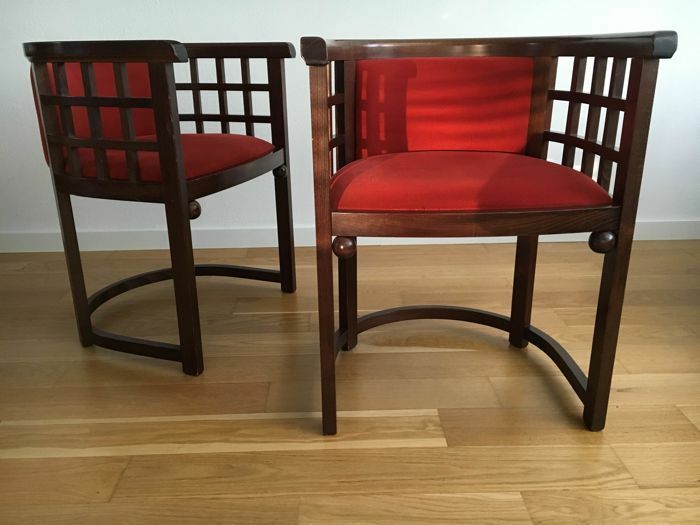 One of these designers was Josef Hoffmann, who founded the Wiener Werkstätte in 1905 and designed various chair models, among other pieces. This includes the present pair, which was built in 1990 by the Italian company PSM. Also at the beginning of the 20th century, the Sardinian Lorenz ‘Renzo’ Woman began to produce furniture. After working for various furniture manufacturers in Turin and having also spent time in England, he decided in 1912 to found his own company, Poltrona Frau, in which he wanted to produce seating inspired by English style. The present copy of the early ‘Chester’ model dates back to 1987. 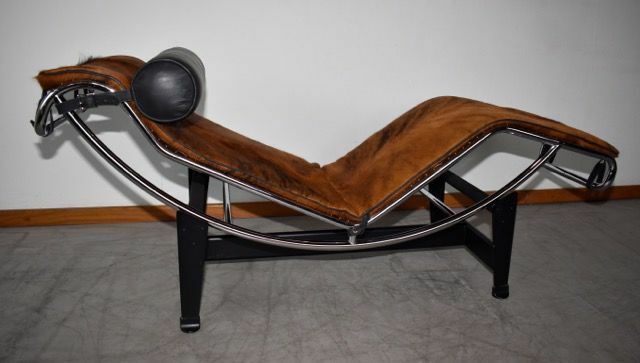 A classic modern design is the chaise longue ‘LC4’ by the Swiss-French architect and designer Charles-Édouard Jeanneret-Gris, better known as Le Corbusier. Le Corbusier designed this timeless and iconic piece of furniture in 1928 together with his cousin Pierre Jeanneret and the designer Charlotte Perriand. The exclusive execution rights to the lounger is held today by the Milan furniture manufacturer Cassina. Equally timeless as the ‘LC4’ is the 'Barcelona' armchair by Ludwig Mies van der Rohe. The minimalist piece of furniture was designed for the German Pavilion of the 1929 World's Fair in Barcelona. 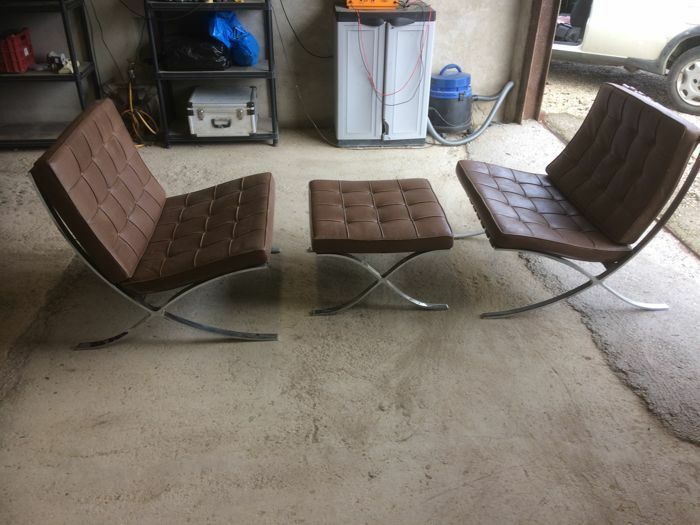 In 1950, Mies van der Rohe revised his design so that the metal frame of the chair consists only of one piece, rather than several. The current execution rights to ‘Barcelona’ are held by the American company Knoll. One of the pioneers of Scandinavian modernism was the Finnish architect and designer Alvar Aalto, whose favorite material to work with was wood. In 1933 he introduced the L-shaped table or chair leg, which then became a trademark of his designs. These bent legs can be found in the present dining ensemble, consisting of the table model 91 and four chairs of the model 66. 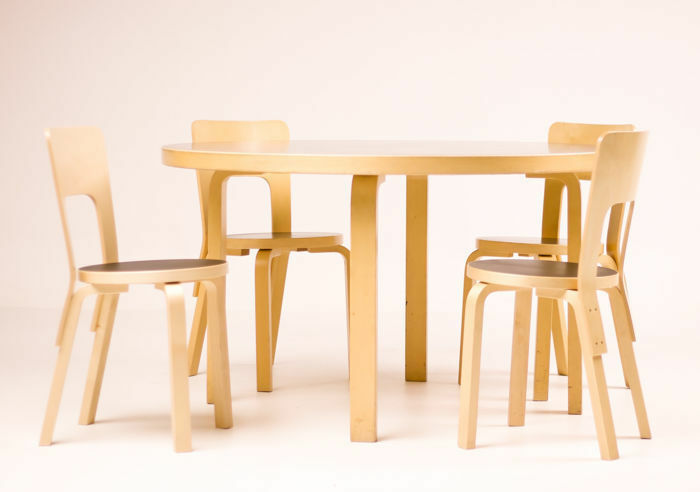 This collection is a contemporary execution by Artek Finland derived by Aalto. 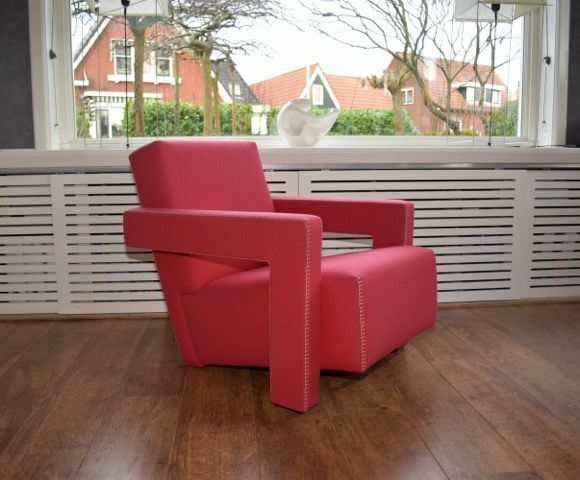 Inspired by his affiliation with the Dutch artist group De Stijl, Gerrit Rietveld infused his furniture with geometric shape. 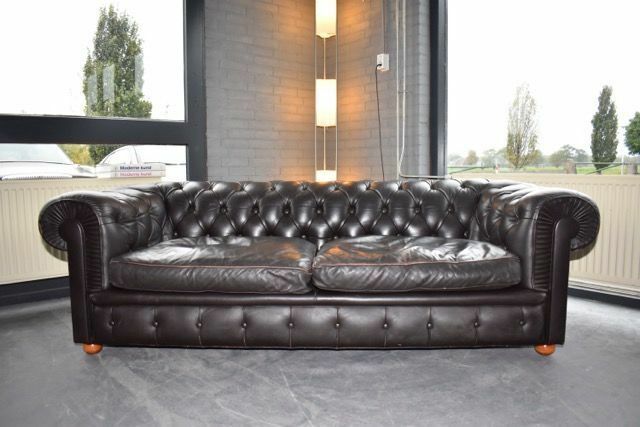 Consequently, in 1935 he designed the armchair ‘Utrecht’. The chair originally had a dark brown cotton cover, though today it is available in a wide variety of covers. His most striking detail, however, is the garland seam on the edges, which stands out clearly against the fabric. 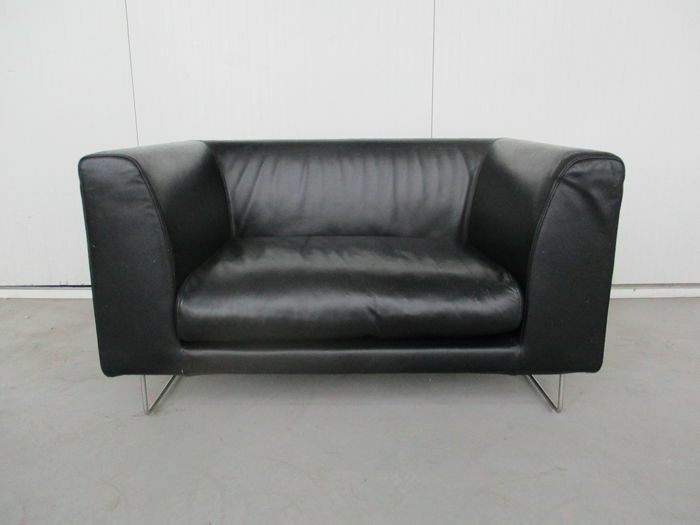 This two-seater sofa with black leather upholstery from 1999 clearly shows what the Englishman Jasper Morrison prefers in his designs: minimalism. Morrison developed his style during his studies in London and Berlin. Later, Japanese influences appeared in his work. In addition to furniture, Morrison also designs everyday objects that range from mobile phones to trams – a truly comprehensive oeuvre. Italian designer Tobia Scarpa is best known for his lamp designs. His works, which he developed in the 1960s for the glass manufacturer Venini in Murano, are among the most important pieces of glass art of the 20th century. 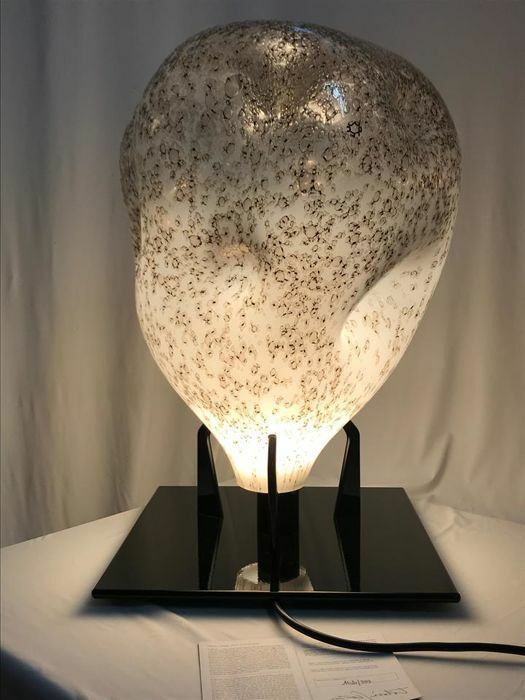 His present table lamp, ‘Fiola’, from 2007 is both a luminous object as well as a work of sculptural art. The glass lampshade consists of bronze powder and silica sand. This charming coffee table by Scottish designer Mark Stoddard is a fusion of furniture and sculpture, glass and bronze. Stoddard is best known for his tables where an animal sculpture breaks through the glass tabletop. 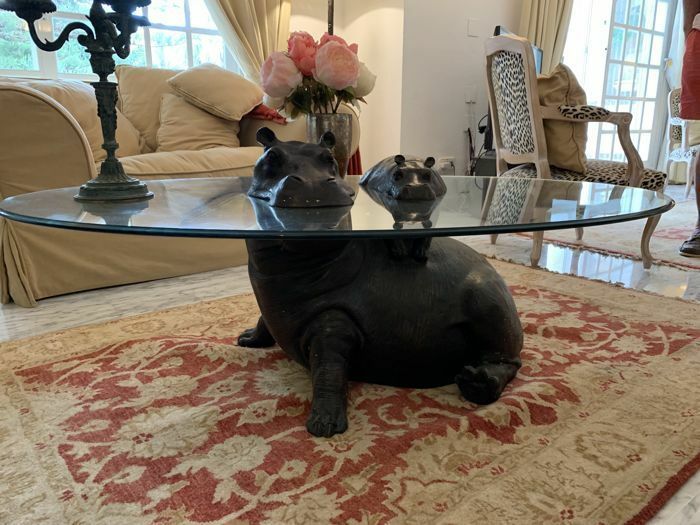 In the present case, with a hippopotamus mother and her offspring, the glass plate not only appears as the surface of the furniture but also as the surface of a body of water from which the animals peek out. You can place bids on the total of 51 lots of Catawiki's exclusive design auction through November 7. Register here.